In order to compete with companies like Reliance Jio, Vodafone, Airtel, the government telecom company BSNL has made changes in its postpaid plan of Rs 525. The Rs 525 plan for BSNL will now come with more convenience to carry forward data and data. In this plan, Bharat Sanchar Nigam Limited will be able to carry forward data up to 200 GB. Now you get 80 GB data in the plan of BSNL 525, this pack comes with unlimited voice calling (also in Delhi and Mumbai Circle). 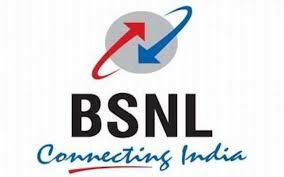 BSNL had earlier made changes in plans of Rs 29 and Rs 9 earlier this month. BSNL comes with a 5 GBP postpaid plan with 80 GB 2G / 3G data, unlimited voice calls and 100 SMS per day. According to the report, National SMS is received with this plan, if you want to send international SMS then you will have to pay a fee of Rs 5 per message. Explain that after the data limit expires, it will be charged at a rate of 40Kbps.For local and STD service, BSNL 500 rupees, Rs. 2,000 for local, STD, ISD service, and customers using international roaming service with local, STD, ISD, have to deposit Rs. 5,000 as the security deposit. Amazon Prime's subscription free with a BSNL 525 plan. Report of Telecom Talk At present, the Calcutta user will get the benefit of this plan. In other circles, this plan does not come with unlimited voice calls, 15GB data, and carry-forward feature. One and the other where BSNL is facilitating carriage for up to 200 GB while the Airtel user can forward the data up to 500 GB on the other hand.